Reception will be on July 15, with a curator talk at 5:30PM. Scene cut from Much Ado About Nothing at 6:00PM. Coinciding with the Shakespeare in the Woods presentation of Much Ado About Nothing this July in Webster’s Woods, The Port Angeles Fine Art Center presents a historic fashion survey from the time in which William Shakespeare wrote his plays and then how Shakespeare’s characters have been depicted and reinterpreted down through the centuries. 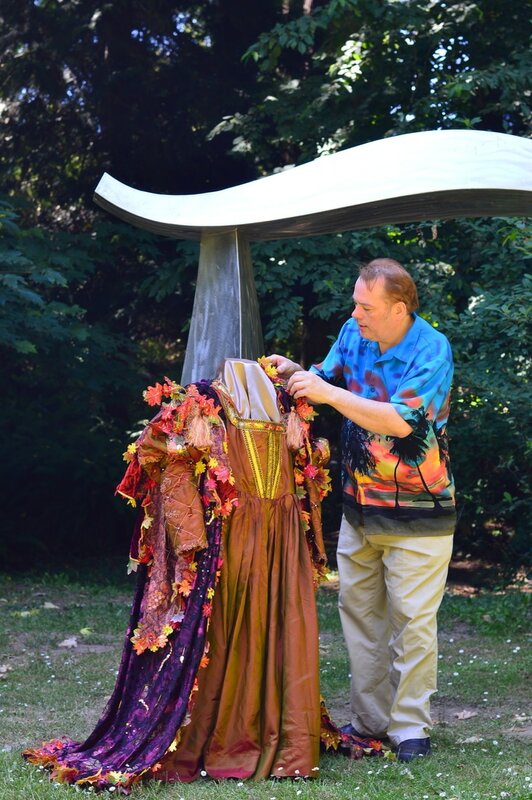 Local costume designer Richard Stephens curates this exhibit that bridges the late 16th Century to the present and examines how every age adapts Shakespeare to their own aesthetic. "Shakespeare has endured the test of time for so many reasons, not the least of which is because his themes and topics continue to resonate across different times and cultures. Like a great mirror, we see ourselves and our present society in the acute physiological depths of Shakespeare's plots and characters”, explains exhibit curator Richard Stephens. The exhibit will contain a collection of historic reproductions of English, Spanish and Italian clothing form the late 16th and early 17th century when Shakespeare was writing with each gown representing a character from the Shakespeare canon. Additionally, there will be a progression of historical silhouettes that represent major innovations in western theater and the ways in which Shakespeare’s works were performed. Gallery walls will include posters and playbills from current productions that showcase the many ways in which Shakespeare is performed today. Discover more about the world of the Bard of Avon, how clothing reflected the values of Elizabethan society and what clues about various notable characters can be found or inferred by the design choices of skilled costumers.